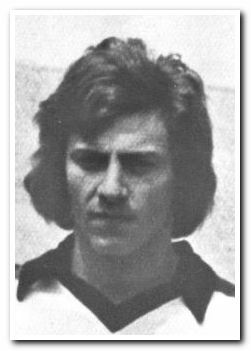 After serving his apprenticeship with the club, Levy played just one first team game as a young substitute early in the 1978-79 season. No further chances emerged for the Edmonton-born midfielder and he moved up the A38 to sign for Torquay United the following season. He fared a little better, making 13 appearances of which eight were starts before his dalliance with League football ended and he played for a series of non-league clubs including Yeovil Town, St Albans City, Tooting and Mitcham United, Carsharlton, and two spells with Hayes. His career was radically transformed when he then moved to New Zealand, where he played for University-Mount Wellington in two spells – the first sandwiched between his two spells with Hayes – and North Shore United. Whilst in New Zealand, whether through ancestry or citizenship, he was selected to play for the All Whites, for whom he eventually won six full international caps. Over a decade after leaving Devon and dropping out of the Football League, Levy made his debut for New Zealand in a 4-0 win against Taiwan in 1988 as part of the All Whites' ultimately unsuccessful qualification campaign for the 1990 World Cup in Italy. His final cap came in a 2-2 draw with Israel later in 1989, ending an international career that no one could have predicted in his days in Devon.